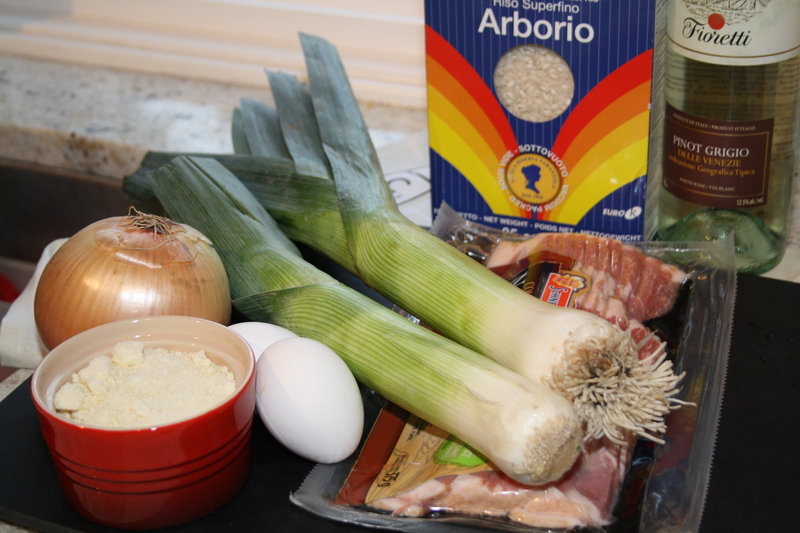 I grew up not liking risotto…but that’s probably because my Mum didn’t put bacon in it! 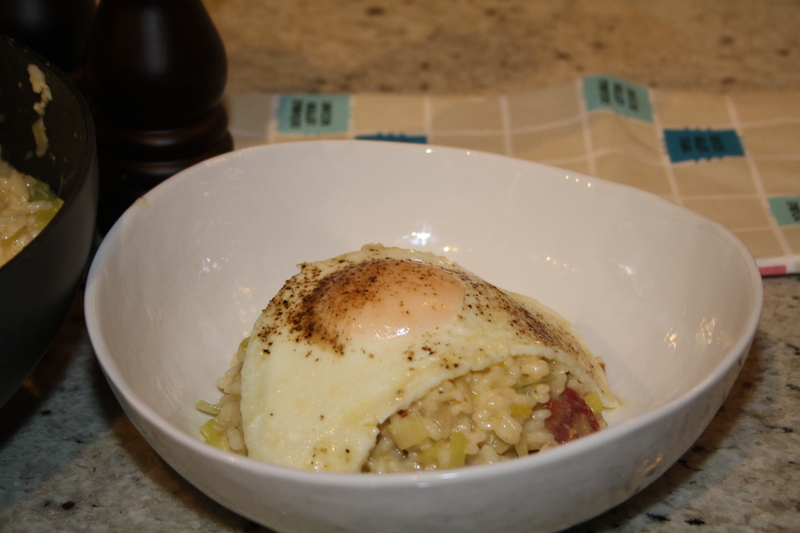 This Breakfast Risotto is something Marcus and I actually almost never eat for breakfast. We’re breakfast for dinner people, and this hits the mark every time. Marcus is the pancake-maker in our little family (I make the waffles – clear gender roles playing out here). We’ve always enjoyed a good pancake/waffle/omelet/frittata for dinner, and this has been in the rotation every since Deb posted it a couple years ago. You could easily omit the bacon for all of you vegetarians out there, or swap another veggie or protein to your liking. I don’t recall cooking with leeks before I first made this dish, but I’m glad I did because I really, really love them. Faintly onion-y, they melt beautifully into this dish. For the risotto, or anything else you want a diced leek for, I first stand the leek upright on it’s root end. Run your knife length-wise until you reach the white part of the root. 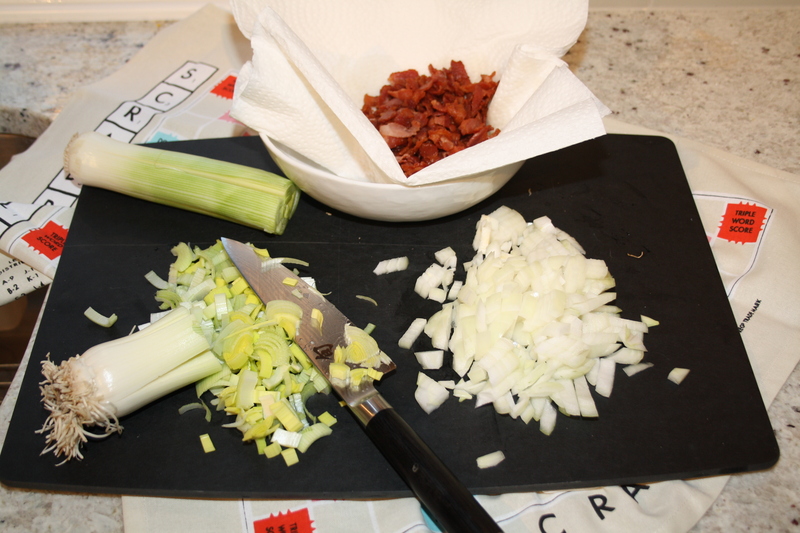 Do the same thing again to create an “x” down the length side of the leek. Your dice will be helped that much more by the incisions you’ve already made. I like to cook bacon several ways, depending on what I’m doing with it. If I want the entire strip intact, I’ll bake it in the oven. Foil a baking sheet and set a cooling rack inside the sheet so it’s resting on the foil. Place the bacon strips on the rack and as it bakes the fat will drip down. At 400 degrees, your bacon will take about 15 minutes depending on the thickness. When I want bacon pieces, including in this recipe, my favourite way to cook the bacon is in a skillet with the lid on. I’ll dice my uncooked bacon, throw it in the skillet with the lid on, and let it cook away stirring every once in a while. Bacon spatter is virtually non-existent. Because I’m super fancy (and super traditional – can’t you tell? 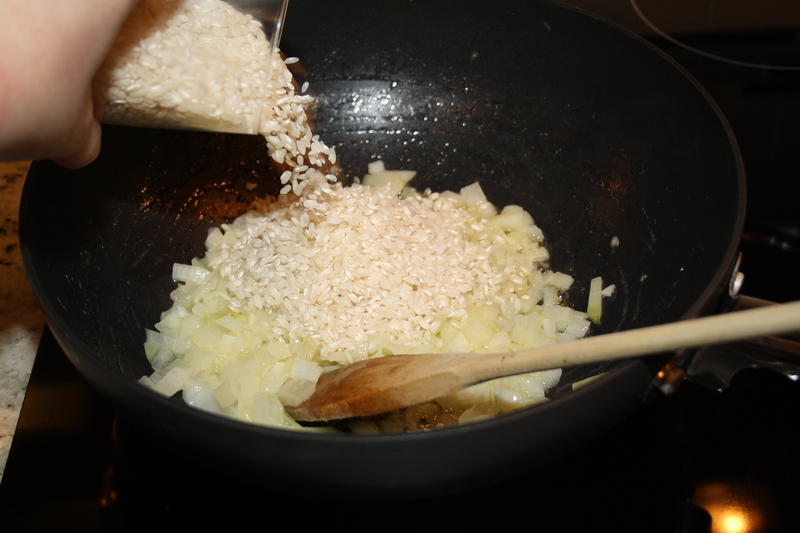 ), I make risotto in a wok. I became the proud owner of this wok when I was living up north for work in a furnished apartment. 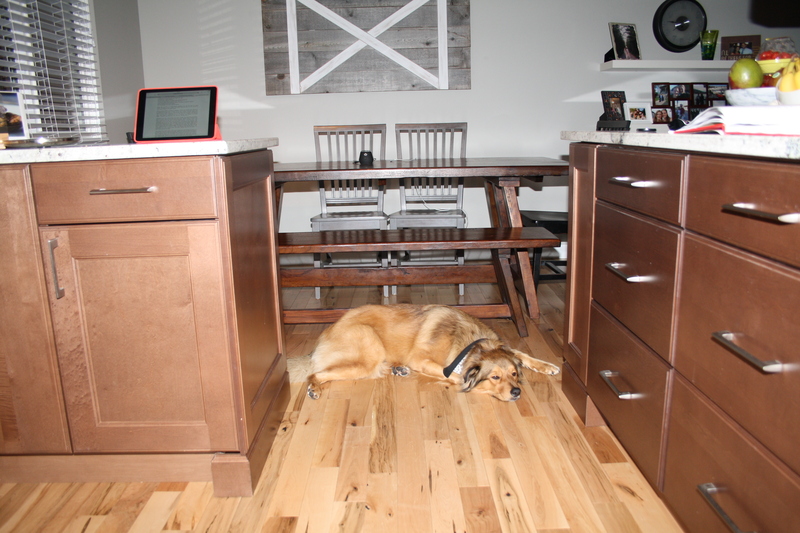 I brought a few of my own kitchen things – stand mixer for one – but for the most part I cooked and baked using the tools and appliances provided to me. And I sort of started to like the wok. To make an extremely long story short, the building my apartment was in had a terrible fire when I was living there. All residents evacuated safely, and the rigmarole of trying to get back in to collect belongings began. A moving company that specializes in this kind of thing packed up all of my belongings, and I had a Christmas morning moment when I unpacked the box with the wok. My wok now! No help from this guy. On the tune of the non-traditional, I also enjoy this risotto as lunch leftovers – cold. It’s kind of a cold pizza thing, but I like the crunchiness of the bacon and the cold rice almost as well as hot the night before. I don’t do the egg business for leftovers, but if you’re like me and don’t mind a cold risotto, I think a hard boiled egg mashed up with the rice would be excellent. This is really comforting, and would make a beautiful brunch or breakfast for guests. I liken it to a savoury oatmeal, and all the classic breakfast flavours are packed into one punch: egg, bacon, starch, cheese, onion. Divine! Pour chicken stock/vegetable broth into a saucepan. Bring it to a simmer and then turn the heat to low. Keep warm and steamy for when your rice is ready to soak it up. Heat a skillet (or wok :)) over medium heat. Add bacon and cook until browned and crispy. Remove with a slotted spoon and set aside. 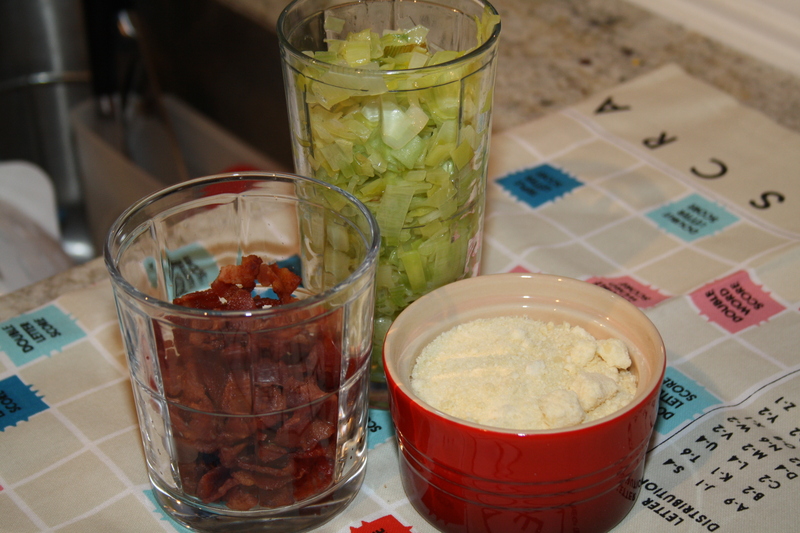 Add leeks to the bacon fat and cook on medium-low until softened and glistening, about 12 minutes. Set aside with your bacon. Add 3 Tbsp butter to skillet/wok. Once melted, add onion and cook until translucent, about 5 minutes. Add rice and stir around until barely toasted, about 4 minutes. 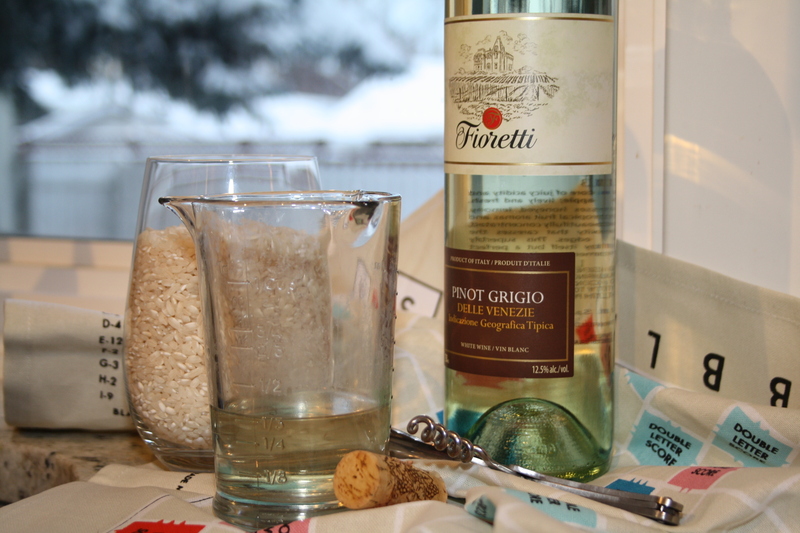 Add wine and keep stirring until it disappears, about 2 minutes. 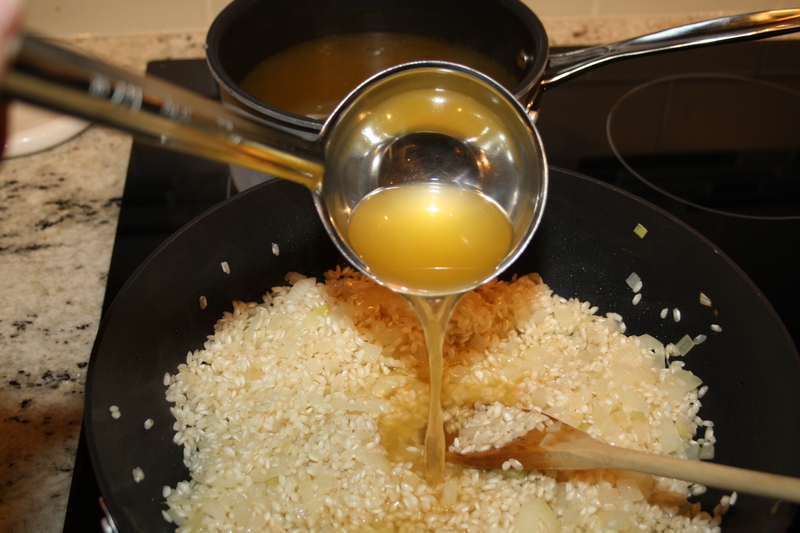 Add a ladle-full of warm broth to the rice mixture and simmer until it absorbs, stirring often. Once the broth disappears, add remaining broth one ladle-full at a time, allowing broth to be absorbed before adding more. Keep stirring frequently (this will take about 25 minutes). When you have about 2 ladles left of broth, start your eggs. In a small skillet, heat 1 Tbsp of butter over medium heat. Crack 2 eggs into the skillet and season with salt and pepper. 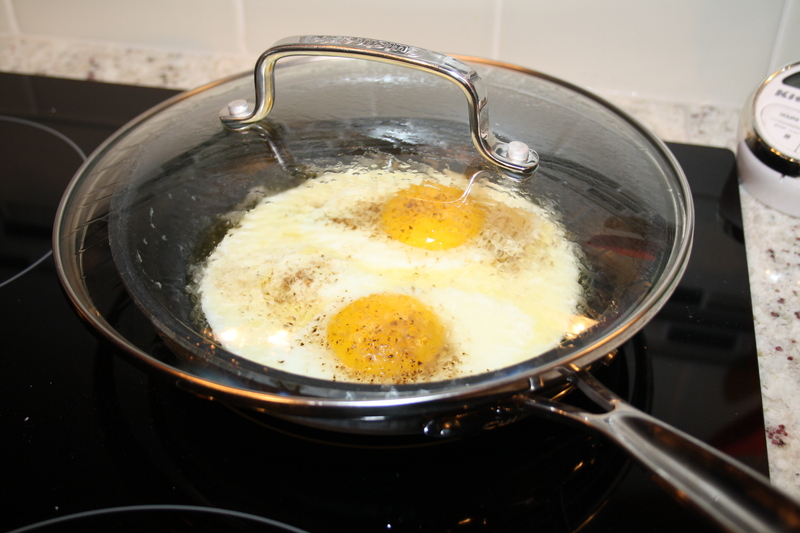 Cover with a lid and cook for a minute or two until you have a sunny-side-up egg. To ensure my yolk is perfect, I like to jiggle the skillet every once in a while to see what the consistency of the yolk looks like. You can either serve these eggs once their ready, or set them aside in a warm oven while you cook the rest. 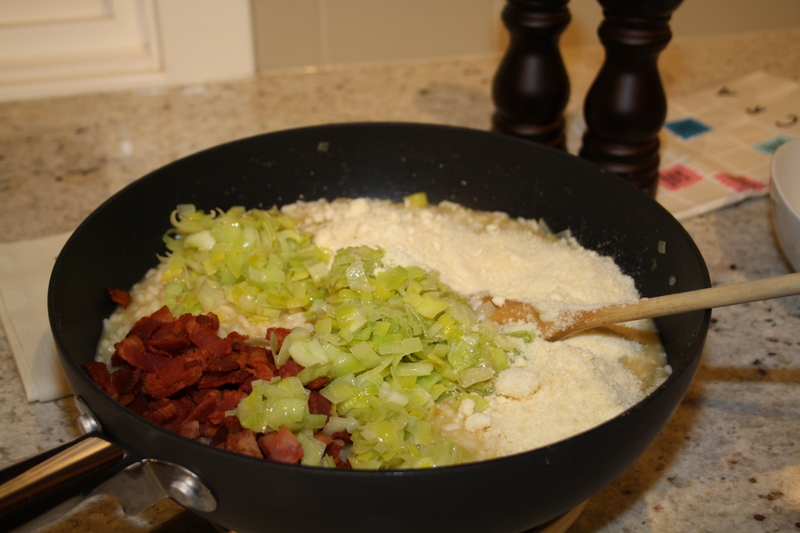 When the rice becomes al dente and creamy, stir in the Parmesan, bacon, and leeks. If you think you need a little more broth to help it along, add a few splashes in and let it disappear. Season with salt and pepper. 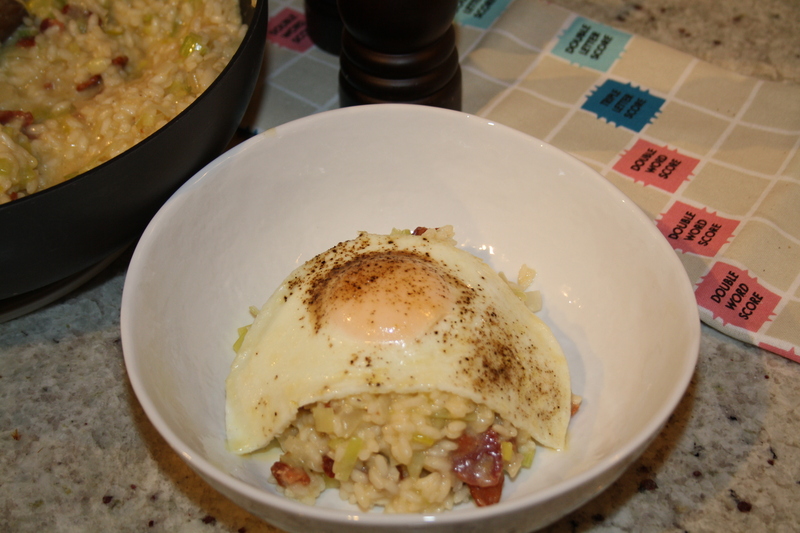 Spoon the risotto into a bowl and add your fried egg on top. Dig into that yolk and let it spill into the rice.